With all the focus on shifting weight, hitting down on the ball, covering the ball, compressing the ball, not hanging back, and getting left, secondary tilt gets the short changed. For those who have never been around me for more than five minutes, secondary tilt is when the spine tilts away from the target on the downswing, and particularly at impact. 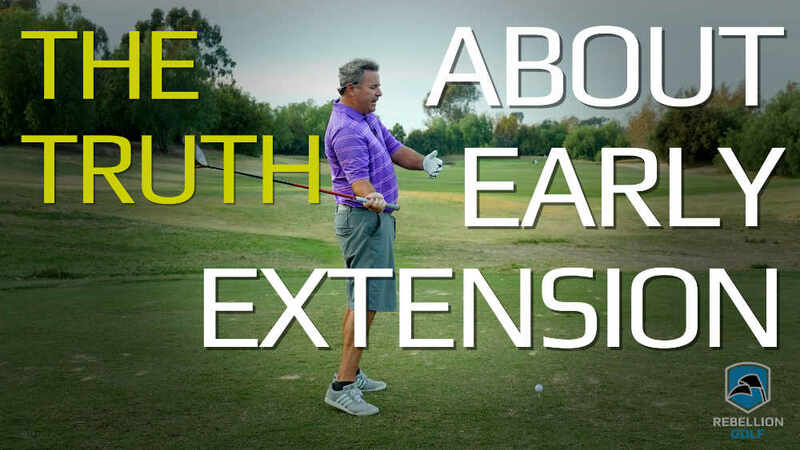 Secondary tilt might be the one universal thing in all good golf swings, and yet many of the most popular teaching ideas being promoted tend to eliminate it. I don’t want an armsy swing and I’ll have to swing my arms and hands more forward in order to hit the ball if I do that. But that’s exactly what you’re supposed to do in a good golf swing! Below are some improvements that a recent student made in less than an hour (BEFORE images on left, AFTER on right). All I told him was start with some secondary tilt, maintain that tilt at the top of the swing, and then increase it slightly to start the downswing, by trying to move his head away from the target. For those interested in hearing more about secondary tilt and how it factors into the overall golf swing, I shamelessly recommend YOU WATCH my video DRIVE FOR DOUGH. 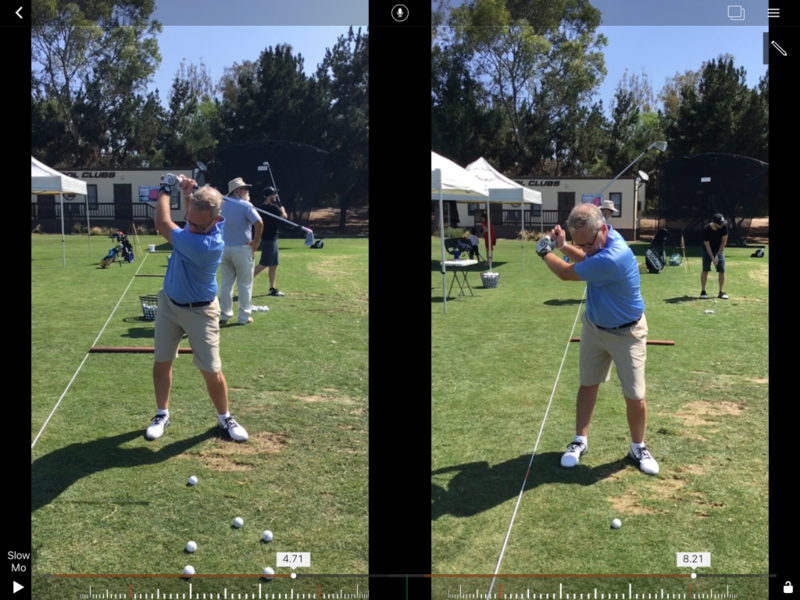 As you can see, adding secondary tilt to your golf swing can automatically force your body to produce many of the results you’re trying to happen in your golf swing. Impact position is improved, tilt towards the target at the top of the backswing is eliminated, and even the lower body responded by moving better. Anybody familiar with my teaching knows that I spend a lot of time talking about the difference between trying to force a result onto your golf swing vs. making the sorts of changes that actually produce those results. 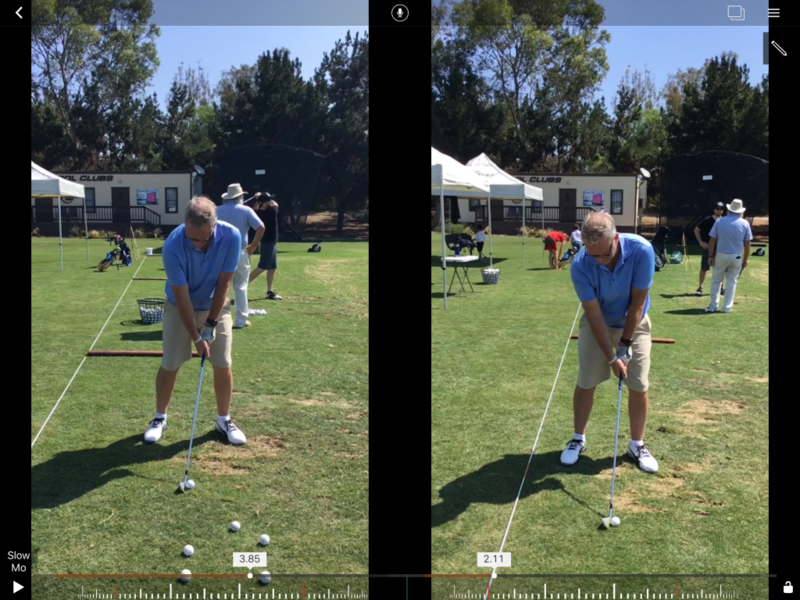 Well, adding secondary tilt to a golf swing is the sort of change that most people actually can add to their golf swing, and the irony is that doing so may very well produce a lot of the coveted outcomes (shaft lean at impact) they desire. Thanks Monte, Right on the spot. I am happy with your clear and direct instruction. Have to feel your head working away formthentarget for a period of time. I have noticed that you and Nicklaus (and I’m sure many others) tilt your chin away from the target during the backswing, does this correlate with addding secondary tilt? Great post! I still struggle with an effort to get a forward swing bottom by shifting my entire upper body forward. 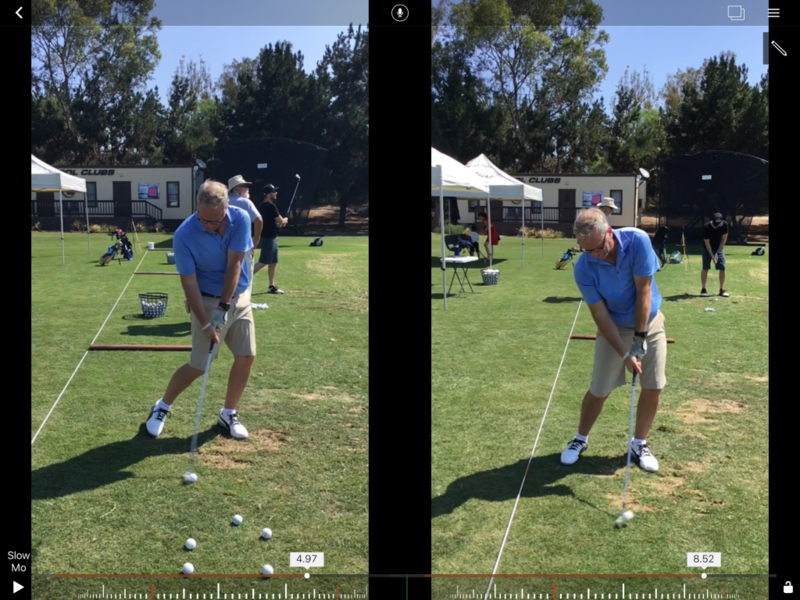 I find that less of a right arm push and more of a left arm pull/swing with an effort to get my left elbow pointing down at impact has made a tremendous improvement with a forward swing bottom without weight shift. Does this sound like I’m on the right track? Feels very armsy…but maybe that’s the point. From your description it sounds ok. 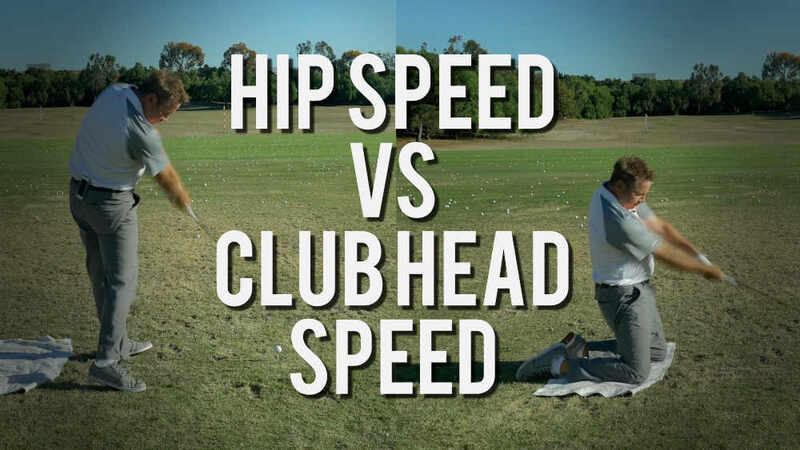 Since the right hand is set lower than the left on the club, doesn’t that naturally provide a secondary tilt? Or do you have to exaggerate it beyond that. Despite what you saying being correct, a huge percentage of people set up like the before picture below and worse. What’s really interesting about those pictures is that in the “before” he had the ball so much more back in his stance in order to make contact with it, vs the “after” ball position. So much for thinking you’ll hit behind it with proper tilt! Hi Monte! Great article as always. 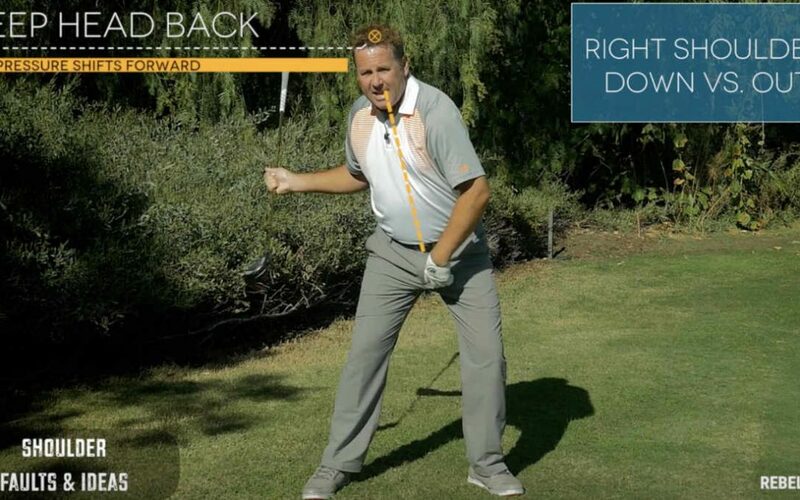 To get the desired tilt at address – would you suggest creating the tilt by leaning the head and upper body more away from the target OR shift the left hip forward a touch? Seems the tilt can be gotten either way but wasnt sure which is correct? Wow this is the most trans-formative golf tip ever! I was a relatively inconsistent 5 handicap struggling to make the next jump…read a couple articles on the secondary axis tilt knowing that I struggle to transfer weight to my right side and realized that if I keep my secondary axis angle I have NO CHOICE but to get the weight on my right side! Been lighting up the golf course ever since! Trending to a 3 and going to get lower! Thanks Monte!